Well, we've come to the end of Volume Two of our Blues Fix Mix CD series. It took a bit, with a few delays and interruptions thrown in, but we've reached the conclusion at last. I recently put together Volume Six for a friend of mine, so there's still a chance we will revisit these in the future, but not for awhile. 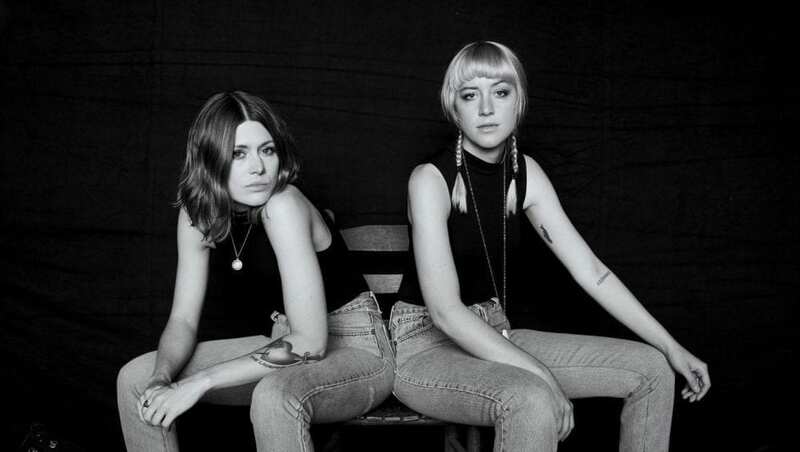 After this post, we will be posting a year-end Top 20 Favorite Albums of 2018 in a few weeks, but the blog will be going on a bit of a hiatus after that. 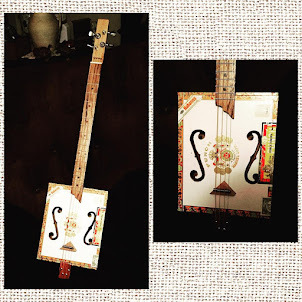 We still have our FBF Facebook page and I will be sharing a few items there......album reviews and such.......but sometimes it gets pretty hard to put together a post that's worth stopping for in the time allowed. I will post from time to time here and promise to let you know via Facebook when that happens, so by all means, please stop by our FBF FB page and join up. This week's track comes from an artist that I discovered about 15 years ago named Dave Riley. Riley was born in Hattiesburg, MS, but moved with his family to Chicago as a teen. His dad was a preacher and, like many blues men, Riley started out in gospel as part of a family band. His family moved from the West Side to the North Side near Maxwell Street, where young Dave heard live blues for the first time. He sang and played guitar as a teen, mostly gospel and Motown. After high school, he was drafted for duty in Vietnam. While stationed in Seattle, he got to hear another musical influence........Jimi Hendrix. After he was discharged, Riley played in a gospel group, occasionally playing soul and the blues, but quit the music business to help raise his son, working as a prison guard at Joliet State Penitentiary. He worked for 25 years in the prison system, developing an addiction to drugs and alcohol, two habits he kicked in the late 80's. 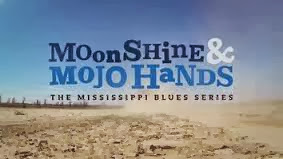 When his son was grown, he began playing the blues again, but suffered a broken neck in a car crash in the late 90's, which ended his career at the prison and greatly limited his ability to play guitar. Through hard work and perseverance, Riley regained his guitar-playing ability. He's released a few CDs, my favorite being his Fedora release, Whiskey, Money and Women from 2001. He's also released three excellent albums with harmonica master Bob Corritore, the last one being Hush Your Fuss! in 2013. He also performed with the late John Weston and Sam Carr in the Delta Jukes, a slight variation of the famous Jelly Roll Kings. 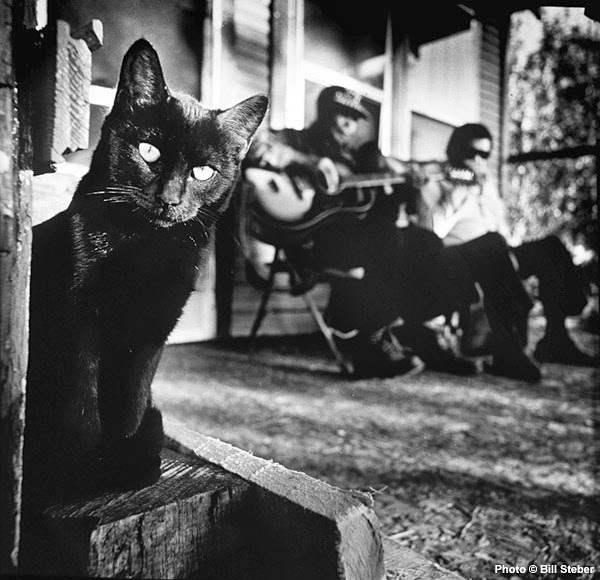 They released a very good album called Working for the Blues in 2002. 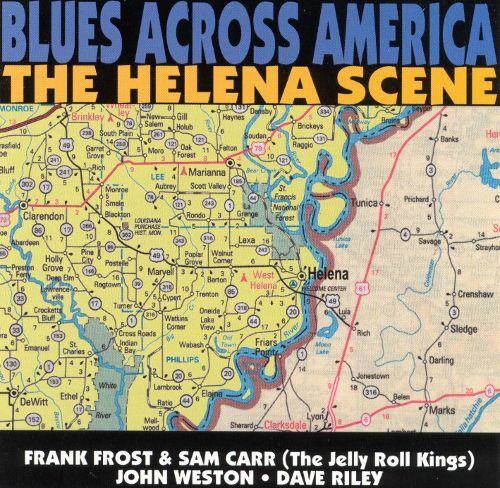 However, the song that closes Volume Two comes from an earlier release on the late, much-missed Cannonball Records, Blues Across America: The Helena Scene, one of a series of albums that highlighted blues artists from different cities. 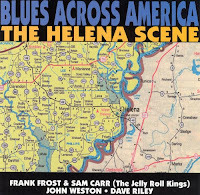 Similar to earlier anthology sets that featured three or four artists per album each contributing three or four songs, this album featured Riley, along with Weston, and Carr with Frank Frost (these were Frost's last recordings). It's a pretty solid set, as you can imagine if you're familiar with any of these artists, but Riley really shines on his four songs, my favorite being "Automobile," a hard charging blues rocker that will close our Volume Two with style and pizzazz. Enjoy and thanks for stopping by!! 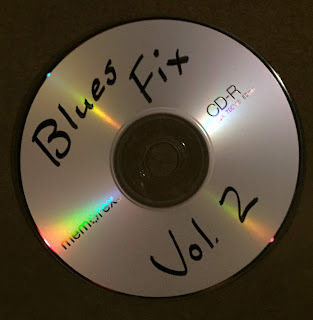 Only two more tracks to go before we wrap up Volume Two of the Blues Fix Mix CD series and the excitement is almost palpable. This week features one of the finest guitarist to ever emerge from the Houston music scene - Clarence "Gristle" Hollimon. Given the long list of stars to come from the Houston area over the years - Lightnin' Hopkins, Albert Collins, Johnny Copeland, Johnny "Guitar" Watson, Cal Green, Joe "Guitar" Hughes, etc......that's a pretty strong statement, but Hollimon's body of work will certainly attest to the fact that if he's not in a class by himself, it certainly wouldn't take long to call the roll. 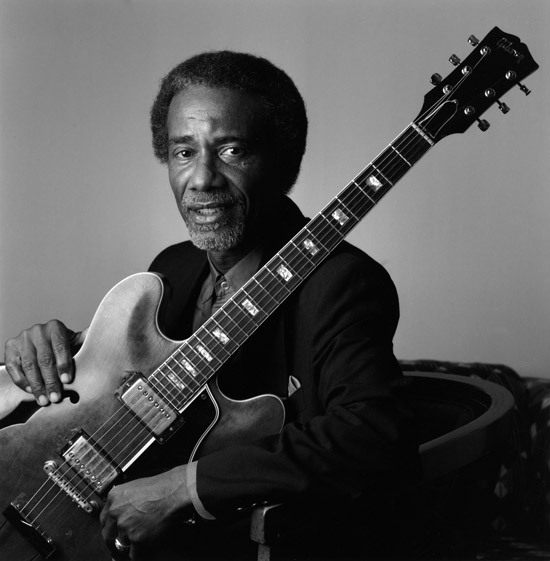 Hollimon worked as a session guitarist for Duke/Peacock Records as a high school student, and he played with a prestigious list of artists including Bobby Bland, Junior Parker, Big Mama Thornton, Charles Brown, O.V. Wright, Joe Hinton, Dionne Warwick, Buddy Ace, the original Jazz Crusaders and many other stars from the 1950's through the 1990's. I first heard him on several recordings for Black Top Records during the late 1980's, beginning with Grady Gaines' first release, Full Gain, which also featured another great Texas guitarist, Grady's brother Roy Gaines. That album is still one of my favorites and still gets regular play around the house, mainly because of the fantastic guitar work from Hollimon and Gaines. 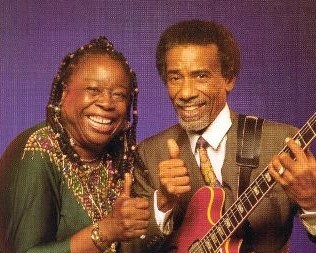 While working with Black Top, Hollimon had the opportunity to record two albums with his wife, singer Carol Fran. The pair had worked together for years before they married in 1983. Fran had been performing since the mid 50's, and had a regional hit, "Emmitt Lee," for Excello Records in 1957, along with other fine recordings for multiple labels over the following decades before taking a step away from the business, disillusioned with the musical and career opportunities that slipped past. She reunited with Hollimon in the early 80's (they had dated briefly 25 years earlier. 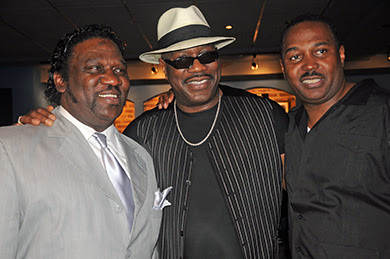 Their two Black Top albums were top notch, and Hollimon's "Gristle" was recorded for their first album together, Soul Sensation, and really shows off his dexterity. It's one of my favorite instrumentals. Hollimon was known as "Gristle" for many years, but no one ever really knew how he came about that nickname. Some figured it was because of his thin, wiry build, but no one knows for sure. He was also known as one of the nicest and most humble musicians in the Houston area. Singers loved to work for him because he never overplayed or showboated. He played just what needed to be played and man, did he play it well. 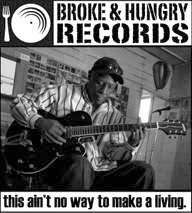 Sadly, Hollimon died in 2000, just after he and Fran finished recording It's About Time for JSP Records. He was only 62 years old. Fran, now 85, has continued to work and record a couple of albums, even recovering from a stroke several years ago to return to performing. one with his brother, Syl (Two Johnsons Are Better Than One). 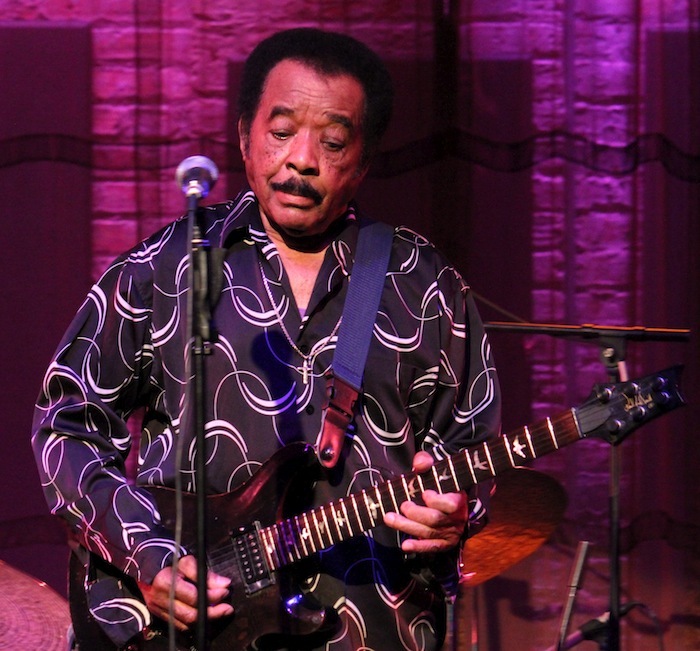 Johnson's brand of blues combine blues, soul, and R&B in equal measure.....his soulful vocals are very distinctive, and his guitar work is equally distinctive and instantly recognizable to most blues fans. 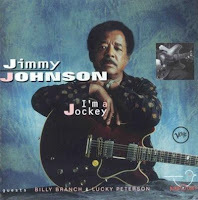 His 1994 release for Verve Records was called I'm A Jockey and featured Billy Branch and Lucky Peterson, who also released albums for Verve during that same time period. I'm A Jockey is a fine mix of originals and cover tunes that Johnson does in his own unique style. My favorite track is Johnson's slow burning take on Percy Mayfield's "The Highway Is Like A Woman," which is Track Sixteen on Volume Two of our Blues Fix Mix CD. This song has special significance to me, as far as Friday Blues Fix goes. Years ago, when I started Friday Blues Fix as a group email to some of my friends and co-workers, this was the very first song that I sent to them. I have worked on many of the Mississippi highways in my area for over 30 years, so that was part of the reason I used it. Also, I love Percy Mayfield's songs and this is one of my favorites.....I love the comparison of a highway and a woman ("soft shoulders and dangerous curves") and I really like Johnson's guitar work on this track. The entire album is worth a listen, as is all of Johnson's catalog, so if you have a chance, check it out......and if you have a chance to see him live, check him out. 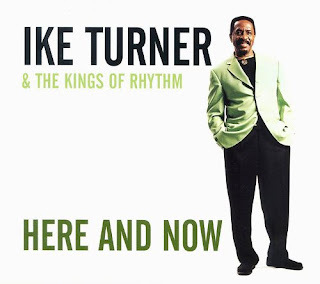 While compiling Volume Two, your humble correspondent thought that it would be cool to add another instrumental to the mix, and the one I had in mind was "Swanee River Boogie," a piano-driven instrumental I had first heard a few years ago by Ike Turner on his 2001 album, Here and Now. Now today, Ike Turner is probably known most for being one of the most recognized symbols of the term "abusive husband" for his cruel and manipulative treatment of his former wife, Tina Turner (allegations that Turner has refuted somewhat awkwardly over the years). The biopic of Tina Turner certainly helped solidify that reputation, as well as Turner's own erratic behavior over the last years of his life (he died in 2007 at 76), which makes him pretty difficult, if not impossible to defend. 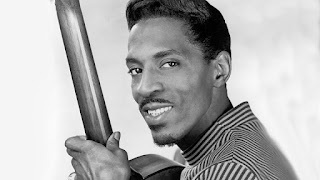 But that's not the Ike Turner we're talking about right now.......today, we'll briefly discuss Ike Turner, the musician who played a pivotal role in the early development of rock & roll, R&B, and the blues.....something that gets overlooked far too frequently in his biography. 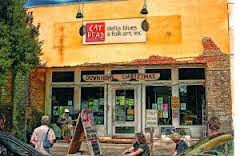 Turner was born in Clarksdale, MS in 1931 and was taught to play piano by Pinetop Perkins. He also worked as a DJ in his teens and formed his first band, The Kings of Rhythm, which traveled to Memphis to record at Sun Records. One of their first recordings was "Rocket 88," with lead vocals from saxophonist Jackie Brenston. This led the single to be mislabel as being from "Jackie Brenston & His Delta Cats" instead of "Ike Turner & The Kings of Rhythm." The song was a huge hit and is considered by many to have been the first true rock & roll song. 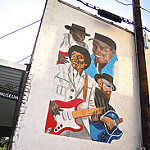 Turner and band soon became in-demand session musicians for many of the Memphis artists, including Howlin' Wolf, Elmore James, Robert Lockwood, Buddy Guy, Otis Rush (that's Turner playing 2nd guitar on Rush's "Double Trouble" side for Cobra Records), and many of Sun's artists. Turner also doubled as a talent scout for the L.A.-based Modern Records, where he helped sign the Wolf and B.B. King. Relocating to St. Louis in the mid 50's, Turner and The Kings of Rhythm became the hit R&B attraction of the town and recorded for various labels......Federal, R.P.M., Flair......and began using a series of vocalists, one of which was a teenager from Tennessee named Annie Mae Bullock, who later began a relationship with Turner and became his wife, Tina Turner. 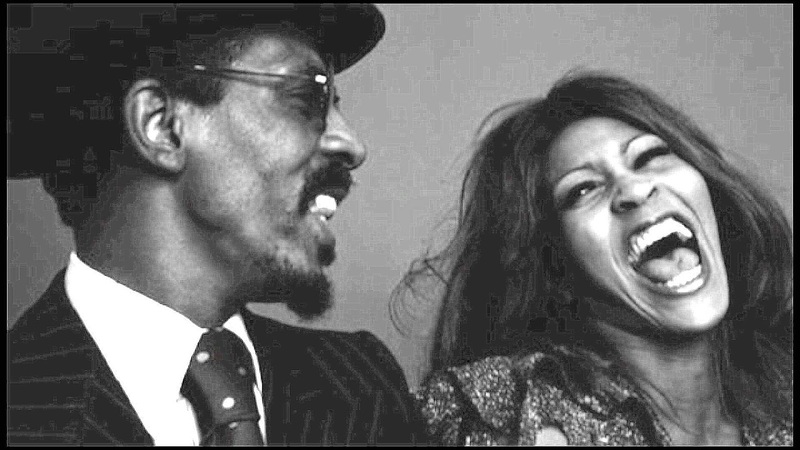 Her immense talent as a singer and performer prompted Turner to reform The Kings of Rhythm to the Ike & Tina Turner Revue, which became a force in the soul and R&B genres in the 60's and early 70's. The fame and fortune soon got to Turner as he developed a cocaine addiction, which was the beginning of the end of his career at the time. The drugs were a bad combination with Turner's already combustible personality and temper and though the band enjoyed success until the mid 70's, Ike and Tina's marriage was done around the same time. The rest of Tina Turner's history is fairly familiar to most music fans. She became a major pop star in the mid 80's. Meanwhile, Ike spiraled out of control with drug issues and prison time in the 80's and early 90's. 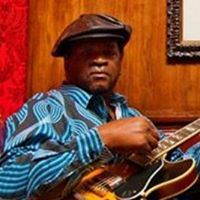 He launched a comeback in the 90's and toured with Joe Louis Walker as his keyboardist and guitarist, where he saw that the type of music he made as a youngster, blues and R&B, was still in demand. This encouraged him to reform The Kings of Rhythm and to eventually record Here and Now. Here and Now was a mix of old favorite tunes and a few new originals. While Turner will never be mistaken for a standout vocalist, he was still a monster on guitar and piano, which really came to light on "Swanee River Boogie," a fast-paced instrumental that dares you to sit still.....go ahead and try.